There is a new $400 price drop on the latest Sony A7r III full-frame mirrorless camera - see the details at Adorama, B&H and Amazon. Check out also the current NAB specials. 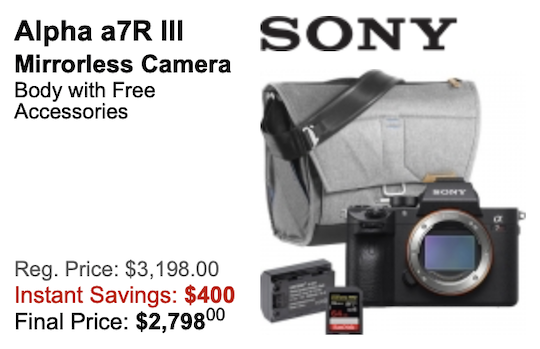 This entry was posted in Deals, Sony and tagged Sony a7r Mark III. Bookmark the permalink. Trackbacks are closed, but you can post a comment.